Yesterday, Apple announced their latest chipset, debuting on the iPhone 7. This new A10 “Fusion” (not to be confused with AMD’s processor) chipset brings a few new things to the table, but most importantly, showcases once more the uncompromising lead on performance that slowly suffocates Qualcomm. John Poole, CEO of Primate Labs and creator of Geekbench, said it best when he summed up the situation with “as much as they’re not competing with Apple, they’re competing with Apple”. In essence, this means that Apple’s developments ultimately set a standard that Qualcomm must either meet or surpass, perhaps best demonstrated with the A7 in the iPhone 5S. John recalled the very real market shake-up Apple spearheaded when, seemingly out of the blue, they announced the first 64-bit mobile chipset — and in an Apple fashion, it wouldn’t come a few quarters later, but in the following weeks. Qualcomm was still working on a 32-bit centered roadmap, with processors like the undeservedly often-forgotten Snapdragon 805; alas, many of their plans had to be scrapped or recycled, and the move to 64-bit (and perhaps more importantly, ARMv8) began… with the unforgettable 810. Here lies the problem: Qualcomm supplies processors to the majority of Android flagships, with only a few privileged players such as Samsung and Huawei (or Honor) being able to supply themselves with their own, in-house silicon. Even then, Qualcomm’s remarkable patent game means companies like Samsung still need to either receive licences or outright adopt their chipsets. This alone gave them bargaining power that bordered on monopoly, but not anymore. As different manufacturers find alternative solutions and as CDMA as a standard begins losing ground, Qualcomm’s grip on the mobile chipset market may loosen over time. Considering the prowess demonstrated by nearly all competing architectures, this is only a good thing. 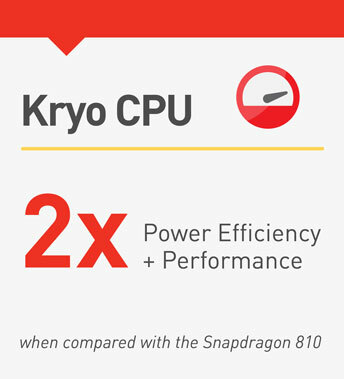 While the 820 is a significantly better processor than the 810, the Kryo cores employed in the newer CPU are not all they were hyped up to be. On a clock-for-clock basis, and under the same process size, it is comparable to ARM’s A57 design, the one they employed on the Snapdragon 810 on a 20nm process, and the same cores which Samsung executed much better in their Exynos 7420. This comes at a time where A72 cores are showing some real strength, with the late-2015 Kirin 950 and revised Kirin 955 being some of the best performers on the CPU side. Exynos’ M1 design, too, is able to compete at the higher levels, and as we’ve seen with the surfacing of more accurate benchmarks, the lead it has on the Snapdragon 820 is quite significant. There are still amazingly fast, speedy Snapdragon 820 devices. In fact, I consider the OnePlus 3 the fastest, best-realized setup I’ve tested in the real-world, and it’s also remarkably steady and efficient when taken to its limits. But I’d argue that devices using Qualcomm chipsets see a much larger variance in resulting real-world performance, in great part because of how widespread the processors are. For example, a Samsung Snapdragon 820 device is noticeably slower than a OnePlus 3, and so are devices like the LG G5. One could make the argument that this is in great part due to the “heavy skins” (OEM Stock ROMs) of these devices — but I’ve also had hands-on time with the Exynos Note 7, which is slightly better in the real-world, and the Honor 8 which is close to being as snappy as the OnePlus 3 despite the rather heavy EMUI. 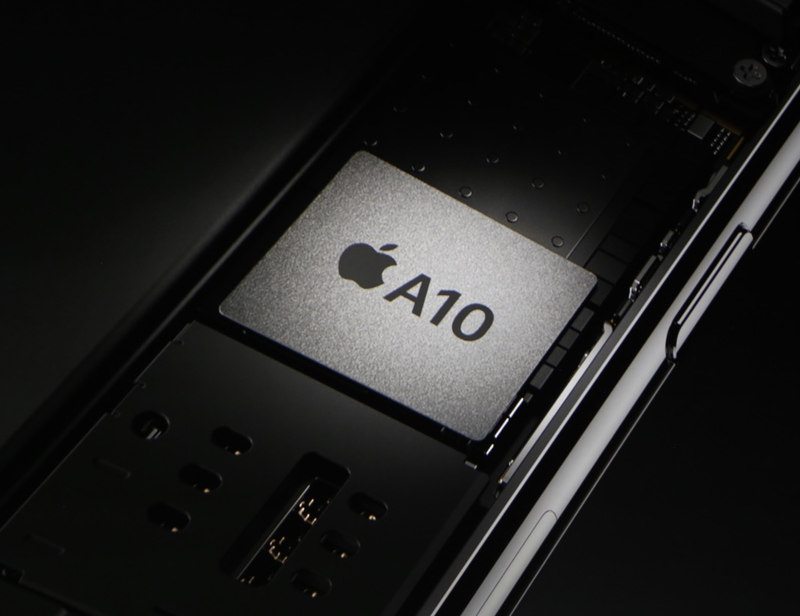 And then comes the A10 Fusion, boasting a 40% increase in performance atop the lead the A9 already had over Qualcomm’s best, with a 2+2 core setup sporting an Apple-designed scheduler for balancing loads. This is a problem considering Qualcomm’s year-on-year improvements haven’t been as impressive as those of its Android competitors, let alone Apple’s steady jumps. The Snapdragon 821 coming this year is a decent way to refresh the available options for OEMs in late 2016 and perhaps even early 2017, but the truth is that given what we know about it, we are doubtful it’ll translate into highly-meaningful, thorough improvements. The 821 is ramping up the clockspeeds of both its powerful cluster (2.15GHz->2.34GHz) and its efficiency cluster (1.59GHz->2.19GHz), too, as well as the clockspeed of the Adreno 530 GPU (624MHz->653MHz). But as nice as all of this looks and sounds, can it be enough to overcome the seemingly insurmountable lead that Apple now gained with the A10 Fusion? Qualcomm also claimed a 5% increase in efficiency (not specified if it was chipset or platform) and 10% faster app loading speeds. But the iPhone already beats most Android devices in these aspects, including those wielding Qualcomm’s sharpest — of course, we can’t ignore that Apple having control over hardware and software (the so-called “vertical integration”) and significantly less configurations to adapt its chipsets to means they can really squeeze their chipsets. Yet this makes no difference to either the consumer who doesn’t need to pay attention to what’s going on in the background, nor to the investors who ultimately want to see the results, both in the yearly unlabeled axes graphs Apple presents and on the speed of the actual handsets. Then we have the promising competitors within Android offerings. The Kirin 950 proved its might with the A72 cores which Qualcomm itself opted for its mid-range line-up, and the A73 will be arriving soon promising up to 30% better performance over its predecessor, plus a real focus on sustained performance (one of mobile processing’s longest-lasting ills). Samsung’s endeavors have also been very fruitful, and I’d say they were much better-suited to tackling the 64-bit shake-up, which I think displayed better long-game planning on their part. Consider, for example, that they had a 4+4 core big.LITTLE setup as early as the S4 (which, frankly, was not quite up to par). And after that, every Exynos variant of their flagship chipsets brought a similar configuration, with minimal adjustments to the clockspeed, yet competitive performance boosts up until the Note 4’s Exynos 5433, which was actually 64-bit ready at the time (even if it didn’t get to run 64-bit Android). By the time Qualcomm had switched roadmaps, the impressive Exynos 7420 was able to offer better performance, particularly sustained performance, and temporarily claim the crown Qualcomm lost. The 820 is still a remarkable chipset (on some phones moreso than on others), and Qualcomm’s processors will still remain the best option for the majority of Android manufacturers. But with the Exynos and Kirin now leading the pack on the CPU side, and with both silicon companies adopting design evolutions that we have no reason to be skeptical of, Qualcomm is under pressure. As CDMA loses ground and competitors improve their offerings and raise the standard, the gap becomes harder to close, and this year alone we might see it widen in such a way that their odds become widely unfavorable for their custom core game. Kryo has done a good job at soothing the wounds of the Snapdragon 810, but in such a fast market with such high stakes, merely keeping up is not good enough for Qualcomm. The A10 Fusion is a chipset many of us would frankly love on our smartphones, and while Apple didn’t corner other OEMs like they did with the 64-bit reveal, the sustainable and consistent improvement in their SoCs means they keep leading benchmarks and offering speedy user experiences. The good news is, even if Kryo cannot get there, they have the pillow of ARM’s excellent cores to fall back on (real men use the best tool for the job). The 810 was an example of this, and even if it didn’t quite surpass other A57 chipsets, it still meant that we could have fast phones with proper optimization — the Nexus 6P is living proof of this. Ultimately, that matters the most to the day-to-day consumer; but ensuring a fast, flexible platform is Qualcomm’s role here, and the standards are set by the front runner. Whatever comes to our flagships after the 821 needs to blow us away, because while Qualcomm did recover from the blunder that was 2015, the race only got hotter once Qualcomm began losing its grip on the Android space.